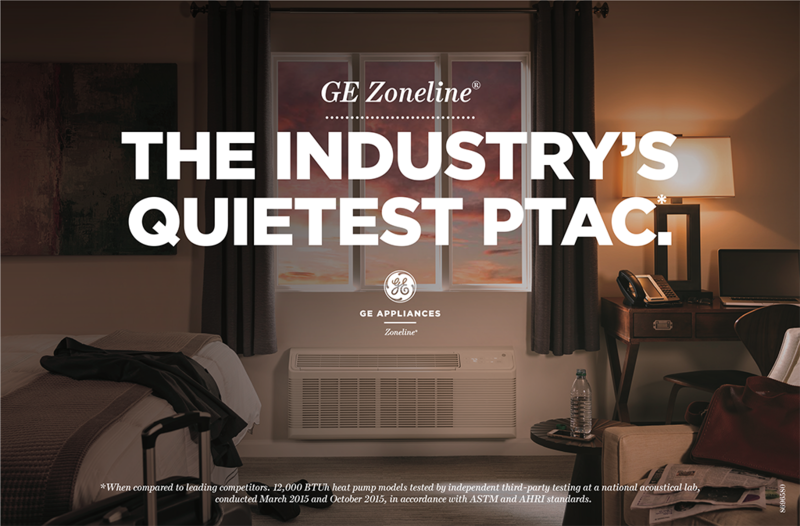 With over one million units installed across the U.S. and remarkably low service issues, GE Zoneline® PTAC Units offer unrivaled reliability, consistent performance and constant guest comfort. Quiet operation has always been a strong suit of Zoneline®. It’s the quietest PTAC when compared to leading competitors, so you know your guests will always get a good night’s rest. GE Zoneline® PTACs are highly efficient. Zoneline heat pumps can save a property hundreds of dollars per month in utility expenses. On average, Zoneline is 8% more efficient than the leading competitor for 7,000 BTUh and 9,000 BTUh electric resistance heat models, for more savings per room, per year. The Zoneline® boasts a slimmer room front, sleek appearance and fresh color, providing an updated look that blends in seamlessly with any hotel décor and room design. Even though it has the same footprint for easy replacement, it also has the industry’s slimmest room front, so Zoneline provides more open space for guests to enjoy. 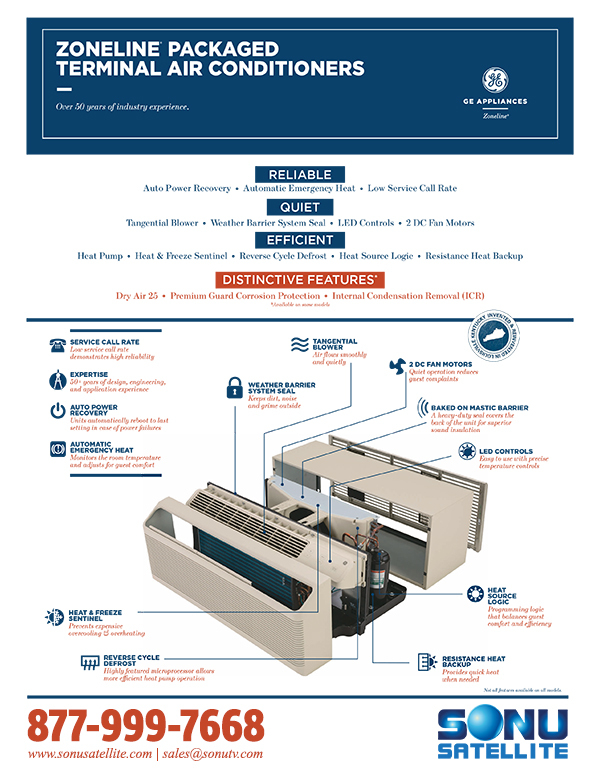 GE Zoneline PTAC Units are more reliable for a number of reasons. The new design implements solutions for the most common issues related to PTAC unit service calls, making the Zoneline a more educated decision for business usage. Hospitality and Healthcare properties are the gold standard for how PTAC units are used commercially, and the list of design features below provide careful attention to the needs of those industries. Simplified and streamlined so servicing is faster and easier than ever before. Special coatings keep each part performing at peak condition, longer. 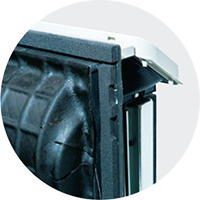 New Zoneline PTAC units have integrated structural components for easy maintenance and support. Rustproof base pan comes standard on all models. Technicians can quickly diagnose problems. The thermostat, central desk control and external fan can be connected in seconds for faster installation and servicing. Typical outdoor noises such as those from traffic or airports present challenges to hotel owners every day. When tested against leading competitors, GE Zoneline PTACs block the most outdoor noise with a sound transmission class of 29*—that’s the highest PTAC STC on the market. This means Zoneline PTAC units help guests sleep better, and can support high guest ratings for hotel and motel properties. Once again, GE has assured to include the features below within the Zoneline for the utmost noise reduction. 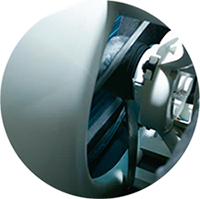 A heavy-duty barrier covers the back of the unit for superior sound insulation. A seal around the perimeter of the unit keeps noise and dirt outside. A motor for each fan reduces noise by dialing in the exact airflow needed for each heating and cooling function. Airflow is optimized for a low, balanced sound that is hardly noticeable. 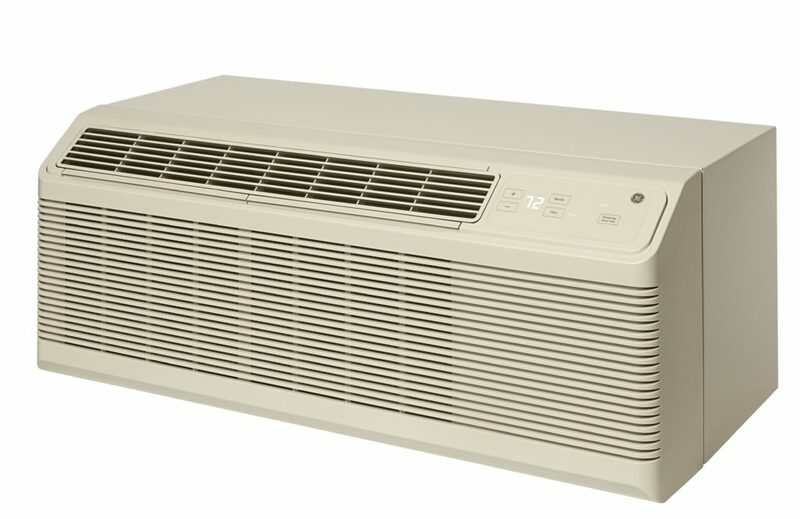 Allows the fan to run in either continuous mode during hot weather or cycle mode during the winter months, saving energy and improving guest comfort. Decreasing the energy usage of your properties can save you a lot of money. Since Zoneline PTAC units are one of the industry leaders in efficient operation, you’ll be able to cut utility bills without compromising the comfort of your guestrooms. New GE Zonline units are designed with Reverse Cycle Defrost, Temperature Limiting, and more to combat improper guest usage. Prolongs heat pump operation, saving energy and money. 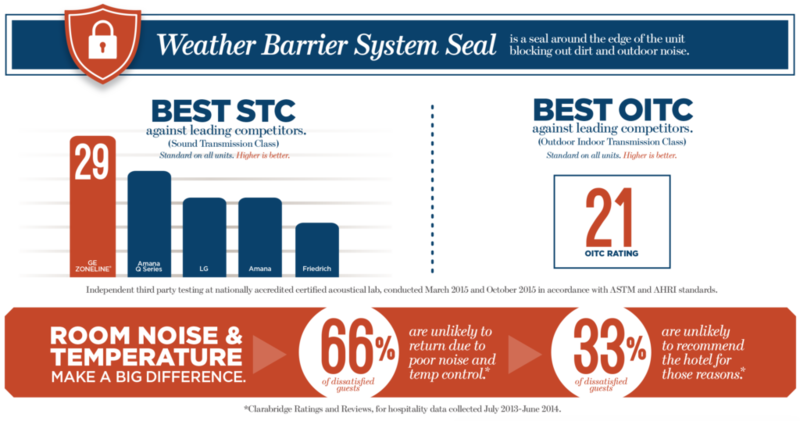 Limits are preset to save energy and avoid excessive temperature swings. 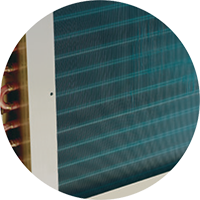 Specially designed sentinels protect your property by preventing overheating or freezing. 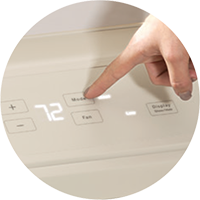 Smart technology lets each unit automatically select the right heat source to efficiently meet guest needs. Every unit is programmed to balance guest comfort with efficient operation. The new Zoneline® continues a legacy of energy efficiency and guest comfort, thanks to innovative features that property managers love. Cross-flow blower, two DC fan motors and smart fan cooling and heating keep the unit quiet while providing efficient heating and cooling performance. Special coatings, paintings and stainless steel ensure lasting performance in challenging environments such as oceanfront properties. 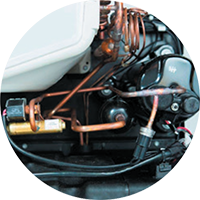 Reverse cycle defrost increases efficiency and allows unit to run in heat pump mode longer. Backup resistance heat delivers quick heating comfort. Internal Condensate Removal (ICR) also available on select models. 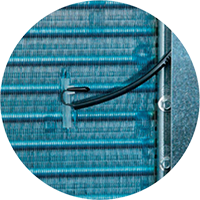 Keeps room from overheating or freezing to increase efficiency and comfort while decreasing operating and maintenance costs. 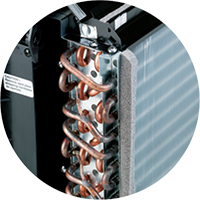 Patented dehumidifier heat pipe removes up to 25% more humidity from a room. Ideal for properties in ocean environments and high-humidity areas. 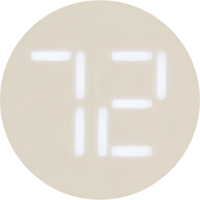 Easy-to-use controls with clear LED readout provide a user-friendly experience. 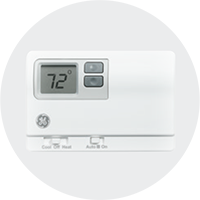 Compatible with a wide variety of thermostats and energy management systems, including central desk control. Keeps noise, dirt and grime outside. Creates a quieter room and more efficient operation. Prevents expensive overcooling and overheating of rooms. Limits are automatically set, so seasonal adjustments aren’t necessary.